Roundtable: MLB The Show 17's Online Rollout Rocky, But How Are Things Now? MLB The Show 17 has had another rather rocky rollout to their online gaming experience this year. Our MLB The Show Online Forums are full of reports of different modes not working well (or at all) for some users. In short, the rollout has been rather rocky with several social media posts turning towards the nasty side as well. However, things have improved quite a bit according to some users, but some persistent issues remain. How big are they? To answer that we asked some OS writers what their experiences have been, check out their thoughts on the online side of MLB The Show 17 after the jump! Kevin Scott: I have to say that while my online experiences thus far have been far from ideal, I haven’t experienced quite the kind of frustration that so many others have reported. Yes, it was obviously pretty disheartening to see once again that online games were absolutely unplayable upon release. There’s nothing quite like the disappointment of pre-loading the game and then staying up until midnight on the night of release so you can try the game online right away, only to be greeted by an error message telling you that you’re missing something called an access token you never knew existed. That didn’t only leave me upset, but rather confused. Perhaps SDS is doomed to just always underestimate the enthusiasm people have for this game. But since the initial assault on the servers died down, I have been able to play many Diamond Dynasty and Battle Royale games online with only slight issues and surprisingly few disconnections (other than making people quit when I blow them out, yay!). The biggest issue I’ve seen in these modes has been the infuriating lag balls when hitting that jump abruptly from one side of the screen to the other and seem to somehow know to happen on an important pitch that will inevitably then result in a strikeout. 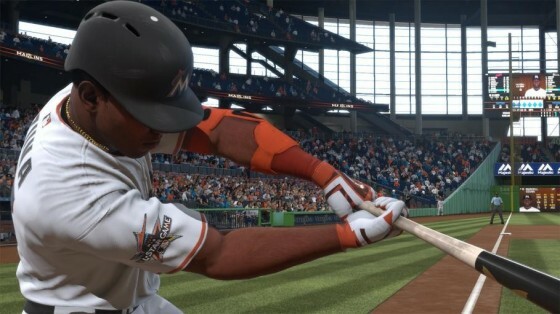 The more pressing concerns have actually been in online franchise play, where I’ve had games freeze and seen re-occurring weird glitches such as batters forgetting to leave the batter’s box after they hit the ball. That said, I’m really beginning to come around on Battle Royale as a nice alternative to Diamond Dynasty. The 3-inning games make it the kind of mode you can play pretty quickly and the drafting of your players allows for some interesting choices in terms of strategy. It’s nice to think of your players more as rentals rather than the ones you own in Diamond Dynasty and you can sometimes become so taken with a player you draft in Diamond Dynasty that you simply have to acquire him for your Diamond Dynasty team. And that’s the story of how I now own Anthony Rendon. Elliott Jenkins: My experience with online play has come strictly from Diamond Dynasty. With the launch server issues largely in the rearview, my issues have strictly come from in-game play. I have only been a victim of the dreaded lagball in two of my games. When it was present, it was deadly, but I have not seen it since. However, I often find myself victim of throwing errors and baserunning blunders due to very random lags in timing. I did suffer an extremely frustrating walk-off rundown due to lag. The fact that the first baserunner reached due to the ball inexplicably missing my defender standing in the middle of the circle and rolling into center field just made things worse. Last year’s biggest holdover for me, however, has been the inability to throw out base stealers. The delay from the catcher catching the ball to setting up the throw animation is omnipresent and very damaging to the online experience. Baserunners with as low as 71 speed routinely take second and third due to a deadly mix of the catcher throwing delay and the throwing error timing lag. This is still a bad game-impacting problem, especially in one-run three-inning contests. SDS wowed us with their expansion of missions in their live streams. Missions were hugely successful last year and provided year-round replay value to an already well-built mode. However, the overwhelming amount of missions and programs are plagued by almost impossible difficulty and a lack of reward variety. I do not see myself playing (let alone winning) 50 Battle Royale games. I certainly will not reach April’s 20 home-runs, but for an uncertain amount of tickets and Stubs, I would not have prioritized it in the first place. A lot of Missions function as secondary rewards for those interested in playing DD for hours, but that varies from player to player. Programs presented a similar issue. I came to grips with the sad reality that I will never complete the Diamond or Dynasty Programs due to the sheer amount of difficult challenges in modes that require hours and hours of playtime. Smaller note – it is also difficult to conquer a Tampa Bay Rays territory when they get always absorbed by the Miami Marlins by the third round of Conquest. I can only restart that mode so many times before I shift back to Franchise Mode instead. I was thrilled by the Team Epics at first. Their enticing reward for progression that appears to be against the CPU provided a different strategy and experience. However, the mission chain took a sharp turn once I reached the third phase. Take, for example, the Astros’ Team Epic. Defeat them twice in Play VS CPU. Easy. Defeat them three times on veteran difficulty in Play VS CPU. No problem. However, the third phase of the epic is collecting Hardware Dallas Keuchel, who can only be acquired by collecting all Astros or buying him outright in the marketplace. The trouble is, Hardware Dallas Keuchel requires Live Series Jose Altuve, whose Stub price is in the hundreds of thousands. Suddenly, completing the Astros Team Epic, the Legend Billy Wagner reward, and diving into the other Team Epic mission chains lose my interest. It ends up coming down to paying for Stubs or finding sheer luck in packs (which also cost Stubs). Another small nitpick: I was surprised that the level 20 rewards did not unlock at level 20. At level 33, only the 0 through 15 level rewards are available to purchase. I certainly understand this incentive to keep players gunning for higher levels, but it still felt odd. That’s a lot of nitpicking for in-game rewards that solely exist to maintain my long-term engagement with one of the best baseball video games in years. I’m still checking the Community Market dozens of times a day and I’m still tantalized by the variety of three-inning game modes. Events have been a great injection of variety. I also particularly appreciate setting a separate roster altogether for each mode instead of having to constantly swap players in and out of my roster like in last year’s edition. I bought a Rookie Zach Greinke from the Ticket Counter and unlocked a secret mission for him. This was a nice touch, as I acquired him to complete a Chris Archer Program mission and wound up with another string of easily attainable missions. Don’t let the above dissuade you, SDS. I’m still eating out of your hand in DD. Josh Houtz: I consider myself an “online gamer” and for many years purchased games such as Madden, MLB the Show and FIFA, with intent on playing the game primarily online. After years of frustration with MLB the Show’s online play, I decided to take a hiatus from one of the better sports’ simulations for several years. That is until this year, when I decided to once again purchase the baseball juggernaut. Based on the last time I played MLB the Show online, the game seems much improved. Yes, there is still the occasionally lag when using meter pitching, or when trying to time a hit just right. As many have experienced, at crucial times the ball will jump from side to side, resulting in a frustrating strikeout. The slight hesitation after a hit can be nerve wracking, but after playing several games you become used to this type of thing. Trying to gun down a runner who is stealing is nearly impossible. Diamond Dynasty and Conquest modes are fun and bring a much needed element to online play. I find myself striving to get elite players and cards, doing everything necessary to better my team. Drafting is fun, and much like MUT makes you choose each position and player wisely. Despite leaning towards my favorite Pittsburgh Pirates’ players, I walked away with a nice haul. Diamond Dynasty and Conquest will keep this game from getting stale, as long as the servers can keep with the ever-changing times. Disconnections remain an issue, and I’d like to see something changed here in the near future. When playing a three-inning Diamond Dynasty game, my opponent quit shortly after a two-run homerun which gave me the lead. Sure it was the first inning, but I had already had two outs and battled back from an 0-2 count. In my opinion, enough of the game had been played to record the win. 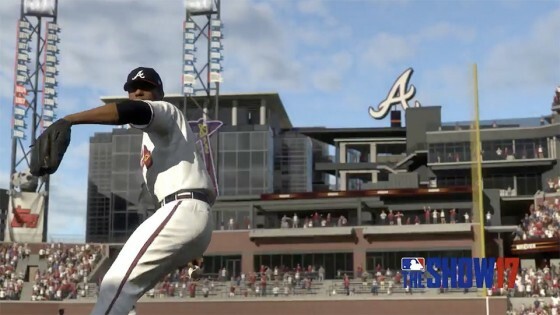 I’m not sure a baseball game will ever play as flawless as Madden, FIFA or any of the other sports games online. However, it is clear Sony has made necessary strides to make online gamers happier and the experience far imporved over where it used to be. 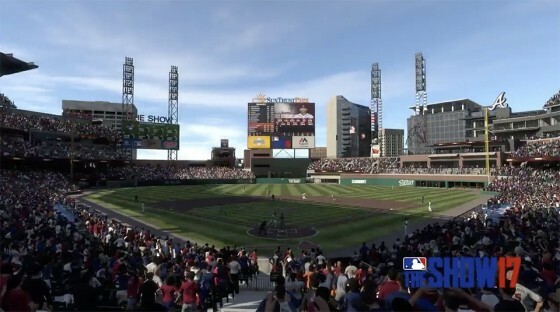 With modes like Diamond Dynasty and Conquest, I will be playing MLB the Show well into the fall.